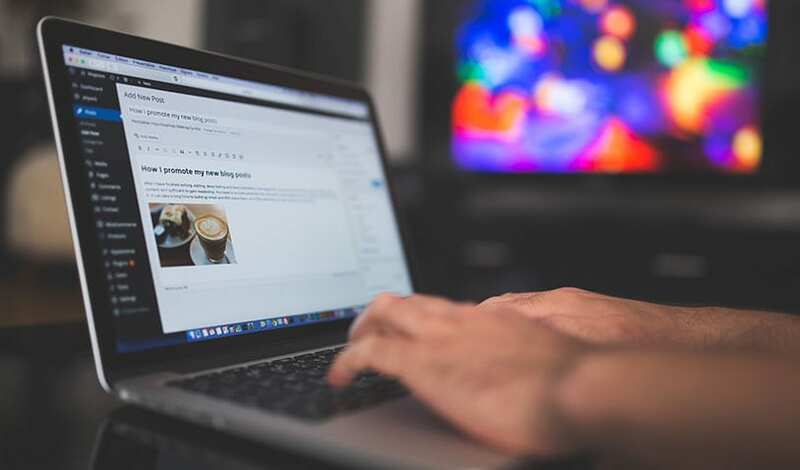 WordPress – it powers more than 30% of global websites and since it launched back in 2003 it has really stepped up the digital marketing scene for small businesses and even for the larger companies. That’s not surprising because it’s a totally free platform that lets you create beautiful pages and rich blogs. WordPress.org offers a wide variety of themes that you can take advantage of, including loads of free themes that already exist. You can create just about anything, give life to your ideas and make the most of your creativity, although navigating your way around all of the functionality take a little getting used to. The platform also allows you to upload any free, paid or custom plugin that you want, allowing you to maximize its’ potential as a content management system (CMS). The possibilities are endless because whatever it is you want to do, you’ll always find a plugin that will help you to do it. As you’d expect with a fully functional platform such as WordPress.org. you’ll use your own customised domain and you’ll need to find somewhere to host it – but hosting costs are pretty cheap these days and if you’re serious about the business you’re in, having a custom domain is mandatory. These days SEO is at the top of the marketing activities list for just about every business because a higher ranking in Google means that you could get more people hitting your website. Fortunately WordPress.org comes with a wide range of SEO plugins and third-party SEO tools to do this, so you can stay on top of your search game. Planning on selling online? WordPress.org is all you need to completely setup an online store. You can even setup options for different payment methods such as credit card, PayPal, bank transfers and more. You won’t have a problem using incredible tools like Google Analytics and KissMetrics with WordPress.org so you get to know more about the profiles of your website visitors, including their location and how they arrived at your site. If your website gets loads of traffic and the idea of a little extra cash on the side is appealing to you, then you might want to think about selling advertisements on your website real estate. There are businesses all over the globe that are looking for the right online sites to advertise to their target market, and WordPress.org lets you use any ad service you want – and you get to keep 100% of what you earn from your site. No doubt about it, WordPress.org is a feature rich, highly customisable platform but it’s up to you to keep it updated. You will be responsible for keeping regular backups making sure everything is running smoothly, dealing with SPAM and most importantly, keeping your site optimised. Think of WordPress.com as the junior version of WordPress.org. It’s completely free for up to 3GB of storage, but that comes at a price – annoying WordPress ads will appear unless you pay to have them removed. You also won’t be able to use a custom domain, so you’ll be limited to a subdomain – okay for a personal site but generally not a good look for a business. You get access to a limited number of themes that already exist in the theme repository. This means you can’t customise existing themes or even upload new themes. No free, paid or custom plugins are allowed but there are a lot of built-in plugin-like features that you can use though. With WordPress.com, you get little control over your website SEO since there’s no ability to install plugins. And in terms of analytics, WordPress.com comes with its own built-in stats but you can forget about third-party analytics because you can’t install any. This is also not the platform for you if you are planning to create an online store. You won’t be able to sell any ads with a WordPress.com site but if you have very high traffic volumes (as in 25,000 or more page views each month) then you can ask for advertising functionality – but you’ll need to share any revenue with WordPress. When it comes to maintaining you site, the good news is that you don’t have to worry about anything at all. WordPress.com staff takes care of that for you including all updates, backups and optimisation. WordPress.org lets you use your own domain name, gives you full theme support and a multitude of plugins to increase the functionality of your site, but you’ll need to pay for hosting. WordPress.com is completely free for up to 3GB of storage but you can’t have a custom domain and WordPress will display their ads on your site unless you pay to have them removed. If you need anything other than a very basic site, then we recommend WordPress.org. It’s super customisable, and you definitely have the power over your website in most aspects. Need a hand developing or maintaining your new site? We’re here to help – just check out some of our work here and then contact us for a chat.